Unless you were hiding underground with the groundhogs last week you probably caught wind of the false slip and fall incident in New Jersey that made headlines around the world, including here in BC. Surveillance video captured a contractor blatantly staging an accident and injury at his workplace. 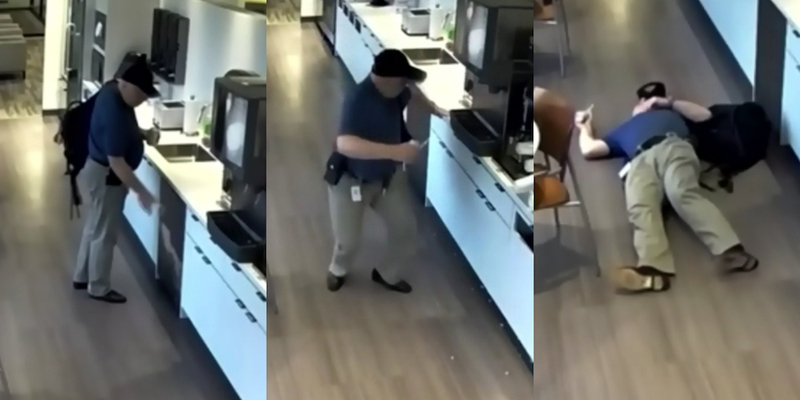 The man grabbed ice, tossed it on the ground, checked for witnesses (or a lack thereof) and set himself down on the floor and lay in wait until he was discovered. Soon after he proceeded to file an insurance claim for hospital treatment. While the event has provided comedic fodder for the media and public alike it has many commercial businesses shaking their heads because it hits too close to home. Even more concerning is that fraudulent claims of this nature are not just isolated incidents, as ISB Canada reports that there are crime rings that specialize in “slip and fall” schemes. While we have provided a guide to how to prevent legitimate slip and falls from occurring, you may feel powerless against ne’er-do-wells that seek to stage accidents and file claims against your business. Today, Park Insurance is here with some advice on how you can reduce this unfortunate risk. Surveillance equipment all but paid for itself in the Woodbridge NJ case addressed in the introduction of this article. In the end, it’s the most effective means to mitigating your risk of this type of fraud. While hidden cameras may help in claims court, request that the installations be public facing and visible to all parties entering your establishment. This will keep the ill-intentioned (criminals and fraudsters) from doing their dirty deeds in the first place. Post signage at the entrance to inform the visiting public that there is surveillance equipment on the premises, in place to protect their very own interests. After all, crime and false claims increase prices which are handed down to the consumer. Institute a sweep log procedure (as per this slip and fall prevention plan) and post your sweep logs in public view too. Something as simple as a sweep log that is visibly updated every 15-30 minutes can discourage someone with fraudulent intentions. When they see that a business is extremely diligent in customer and staff safety on their floors they may take their nefarious plans elsewhere. This is important for any slip and fall scenario, but especially so when falsehood is suspected. Next to surveillance, a credible witness will go a long way to protecting your interests in claims court. As soon as the purported event is discovered/reported talk to every customer and staff member in the vicinity to get an accounting of anything they may have seen or heard. Waiting even a few minutes can negatively impact short term memory recall. So, once the individual involved in the slip and fall is attended to in the appropriate manner (as the accident may indeed be legitimate), secure your witnesses, record statements, and get the contact information for follow up inquiries. Immediately get in touch with your insurance provider to inform them of the event and let them know if you suspect that fraud is afoot in the slip and fall. They will be open to receiving any and all credible evidence that can be used to prove fraud. In protecting their interests they protect yours, so you have a partner in the investigation and subsequent follow-up should fraud be found. Keep reading. In the event that your businesses has become the victim of proven slip and fall fraud, be sure to file charges (where viable) and seek damages from the fraudulent party for any loss you may have sustained in proceedings and business interruption. Then, go public with your punitive recourse so that future wrongdoers know better than to target your shop. The Woodbridge NJ man from this month’s viral video has been arrested, charged with insurance fraud and theft by deception, and the highly publicized nature of the event will certainly deter others from trying the same. In the end, false claims are an unfortunate part of running a successful commercial enterprise and you must do all that you can to make sure you’re protected. False claim proceedings may sting, but not more than a claim that isn’t backed by a comprehensive commercial insurance policy. Contact an independent broker at Park Insurance today to make sure you’re shielded from both legitimate and fraudulent claims against your business.